Enjoy 42 easy to watch videos in one unique, self-lead course. This course is now offered at a NEW, lower price, so that more people can take advantage of this knowledge. Was: $79.99 - NOW: $29.99! *This course must be purchased through the online streaming site, Vimeo. If you wish to sign up you must click here to get to our Vimeo on Demand page and purchase. How is YOUR brain? The human brain—the most complex machinery in the universe—needs to be properly cared for! Without proper attention, it can begin to exhibit difficulties which are expressed as problems in memory, thinking, emotions, and bodily functions. Learn about this spectacular organ, how it works, what can go wrong over time, and most importantly, what science can offer as an effective, practical strategy to keep your brain humming along so you can stay youthful in mind and body. Welcome to this unique path of discovery for a youthful brain, from the comfort of your home. This course focuses on why our brain ages and what we can do to remain youthful. The course will provide you with the ability to appreciate the creative potential of your brain and how extraordinary it is. You have access to the tools needed to create a youthful brain and long life. - Learn about Brain Plasticity: How your brain can become whatever you wish it to be. - Ancient Complementing Modern: Integrative knowledge to easily and naturally improve the quality of life. Why this course? This course of knowledge arose from a decision in my research many decades ago to gain a more holistic, realistic and pragmatic understanding of aging and Alzheimer’s Disease (AD). This Vimeo series comes from over a decade of presentations around the world. I describe in easy to grasp terms, the sources of disorder, or disconnection leading to Alzheimer's dysfunction, and the powerful, natural approaches to solving this dilemma by easily instilling more order in our daily lives. Everything in life is about connecting. We connect to loved ones, to food for sources of nourishment, the sun for warmth and light. Another word for connecting is ‘love’. And, you have to love your brain! Consider this: Because you love a child, you take care and nourish your child. As you come to have more knowledge about your child, you gain more appreciation and in turn, from this growing appreciation love grows. With that growth in love spontaneously comes an increased attention to care and nourish. The same thing is true about our brain. The key to long and healthy life and beautiful brain is in connections. 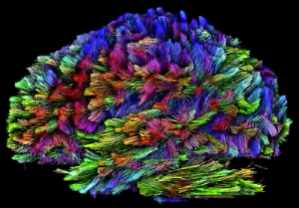 Orderliness of brain networks is the key to longevity and great health. But, how can we better ‘connect’ with the care of our brains? We have to love our brain, because when we love our brain we will take better care of it and nourish it properly so the 100 billion brain cells can give us a long and healthy life.There are many secrets to a youthful brain but they all depend upon your willingness to take care of it. This course is special because it offers for the first time a vision of the beautiful structure and incredible dynamism of your brain. These sessions will allow you to better appreciate and inspire you to take better care for your own brain. We provide the basic understanding of our aging brain and the youthful brain secrets to prevent or reverse Alzheimer’s. All the great knowledge that can help you prevent or reverse Alzheimer’s and dementia, the easy steps how to take proper care of your brain, can do very little good if one cannot find the motivation to properly take care of it and utilize the secrets of a youthful brain. This course will offer you both. Click here to access the course! Module 1:Healthy Brain Basics: Your Brain, Memory, and How We Choose Our Path of Aging. Module 2:Healthy Brain Aging: Prevent and Reverse Alzheimer's Disease by Balancing Bodily Intelligence. Module 3:Healthy Brain Regulation: What to Do About Age-Related Brain Inflammation and Gene Regulation. Module 5:Healthy Brain Thinking: Enhancing the Orderly Flow of Awareness for Youthful Aging. Aging is, for the later portion of life, a process of progressive disconnect—loss of order—physiologically and mentally. AD is a common, severe, debilitating form of this physiological process of neural disconnection. Reversing the progressive disconnect is possible by utilizing practical means to more connectivity in your brain function. You will come to understand and appreciate how your marvelous brain is designed to develop connections to function properly and how for nearly everyone, the progressive loss of brain connectivity in aging and AD comes not from our genetic endowment, but from a lifetime of choices. What can we do to avert or even reverse this process? In this course, I offer three unique perspectives and practical tools to help. First: For the first time, you are presented the research-based knowledge that offers a holistic view of the problem of aging and AD. I give you basic insight into the integrative nature of brain connectivity. I want you to understand your brain, so you can act to reverse the decades of slow decline. I discuss important risk factors as well as protective factors that decrease or increase brain orderliness. Second: You are offered a holistic approach to help optimize the aging process and prevent AD. With more functional connectivity, or order in the brain system, the impact of risk factors for aging and Alzheimer’s are significantly reduced. If you have a way to instill more order in your brain, you can hold off, prevent, or even reverse loss of brain functional connectivity which underlies cognitive loss. Third: You learn about the value of Ayurveda & meditation to maximize physiological integrative order.We examine insights from over half a century of modern scientific research and ancient Ayur Veda reformulated by the great teacher, Maharishi Mahesh Yogi that clearly and simply informs us about the aging process and how to maximize the body’s innate intelligence. simple and effortless ways to achieve youthful aging with the potential that exists inside your brain. We choose everything in life, including how we age! Most of what we choose has consequences, which for the most part we are unaware of. This course exposes these and offers a simple, comprehensive way to change the course of our life for more health, longevity and happiness. Enjoy this holistic, integrated perspective to help build your brain connectivity and create a more youthful brain. About the Author: Alarik Arenander, Ph.D., is Director of the Brain Research Institute, Iowa and a researcher in the neurobiology of brain development and mind-body health. He has conducted pioneering research at the University of California at Los Angeles, Penn State University at Hershey, University of Wisconsin at Madison, MERU in Switzerland, and Maharishi University of Management in Iowa. He and his wife Cynthia present this and related topics to audiences worldwide. We hope you, too will embark on this wonderful journey to youthful aging. Join us today and enjoy the course. Click here to sign up and begin streaming. We would love to hear from you…please send any feedback to info@antiagingcompany.com. Information in this video series or any information contained on or in any product label or packaging is provided for informational purposes only and is not intended as a substitute for the advice provided by your physician or other healthcare professional. You should not use the information on this video series for diagnosing or treating a health problem or disease, or prescribing any medication or other treatment. You should always speak with your physician or other healthcare professional before taking any medication or nutritional herbal or homeopathic supplement or adopting any treatment for health problem. If you have or suspected to have a medical problem, contact your healthcare provider. Never disregard professional medical advice or delay in seeking professional advice because of something you have read or heard on this video series. Information provided on this video series and use of any products and services related to this video series does not create a doctor–patient relationship between you and the author or others affiliated with this video information and statements regarding dietary supplements have not been evaluated by the food and drug administration and are not intended to diagnose, treat, cure, or prevent any disease. 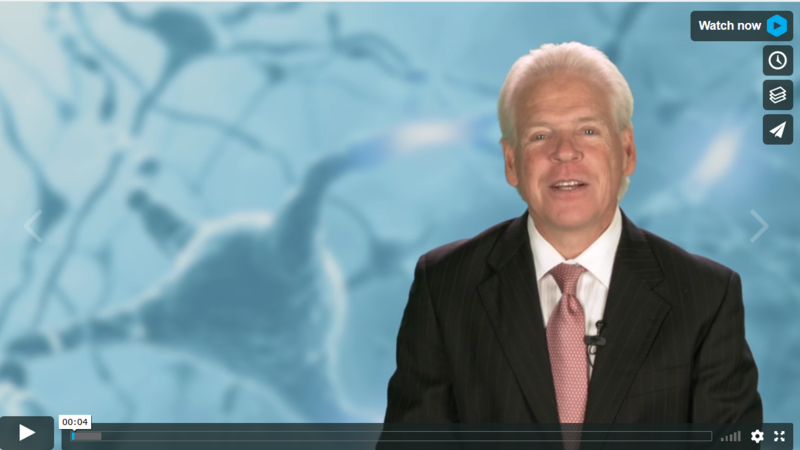 Youthful Brain Video Course *NEW LOW PRICE! * Stream All 42 Sessions on Vimeo!